Many people used more spices and cooking oil while cooking, which is not good for their health. If you do not change your cooking method, you will have many dangerous diseases. A healthy cooking not only makes you healthier but also it will give good health to your whole family. Today we’ll show you the 5 secrets of low-calorie cooking which you can adapt and stay away from obesity and other diseases. Smart Way: Cook your food by grilling, steam or boil. You can use non-stick pan. You eat low-calorie food. Low Calorie Content: Buy vegetables such as broccoli, spinach, capsicum, beans and cabbage and eat them. They have lot of vitamins, minerals and antioxidants. Protein Diets: You should eat more protein rich food such as fish, meat without fat, chicken, tofu and soya etc. Cereal Grains: There must be plenty of fiber in your diet. For this, you must have to eat oats, muesli, multigrain, flax seeds, brown rice and powder of parched gram etc. You must have to eat bread because it is very healthy. Choice of the right type of oil: You must change the oil every month. You can use olive oil or rice brain or mustard oil. 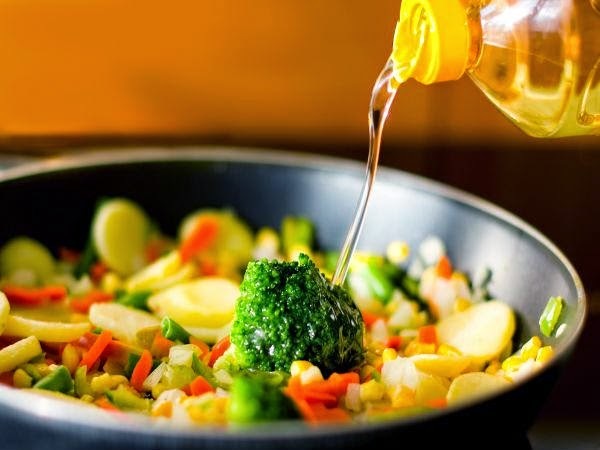 You can use vegetables oil while preparing vegetable and lentils.